From a pedagogical perspective, the use of picture books in the classroom tends to focus on either the comprehension of content (the conflict associated with the characters and plot), structure (the way that narratives are constructed) or themes (the key ideas embedded in image and narrative). Rarely is the picture book used in terms of vocabulary development (instruction if you will), and indeed, as this professional text affirms, rarely is vocabulary development a central and significant aspect of the daily curriculum. If vocabulary instruction is figured at all, it tends to be a periphery aspect of a lesson without any overriding philosophy and pedagogy. Yet, as the first chapter of this text asserts, through a review of research, the lack of an extensive vocabulary is a key factor in the persistent gap in high and low student achievement that is largely based on socio-cultural and economic differences. For many low socio-economic children, the usual classroom is the equivalent of a second language learning environment. This issue is the focus of this text, giving teachers an insight into actual classroom practices that are challenging this reality, resulting in transformational achievement. 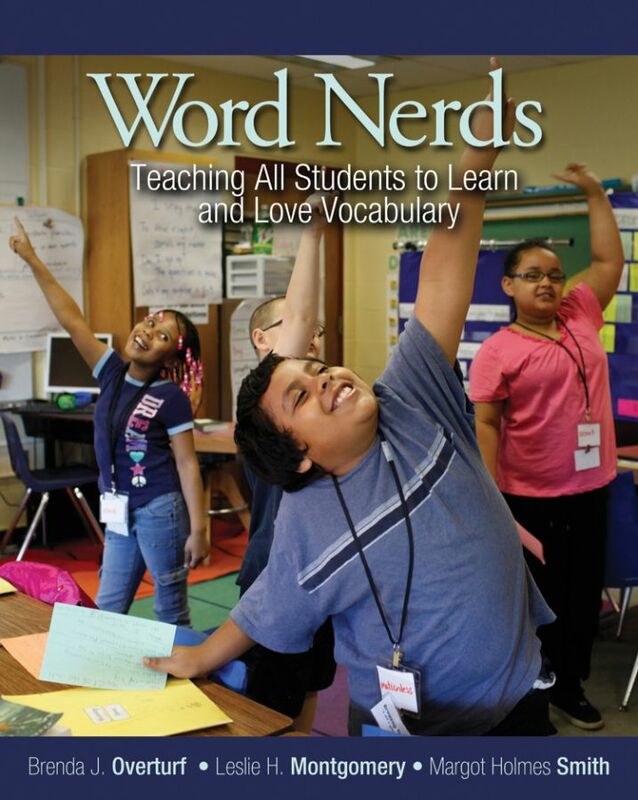 They challenge the notion that teachers and texts need to simplify vocabulary in order to communicate (thus patronising the child and maintaining disparity) but instead show what an empowering curriculum, led by the ‘word nerds’ themselves, might look like. What particularly is important here is the role of children’s literature, the book (and perhaps its technological hybrids, though that is not an aspect that is overly highlighted in the text) as a primary source of enriching vocabulary. In chapter seven, for example, they provide a list of picture book books that can be used to enhance vocabulary development using obviously the power of story to engage children in the pleasure of words. This, to me is the key. Words should not be barriers in communication; they instead should be a source of joy, of comfort, of amusement, of sorrow and indeed of puzzlement. Words are about being human. Even Millie my dog agrees. She knows what the words sit, up, come, ball, car, means. She wants to be one with us. Highly recommended.